If you choose burial you will either need to re-open an existing grave or purchase a new grave. Family graves can usually accommodate at least three adult burials, depending on the cemetery. 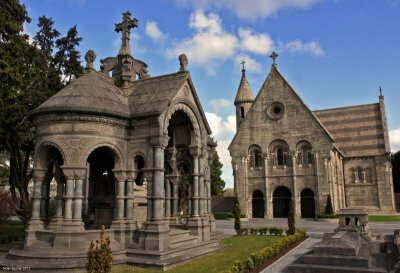 New graves are available for purchase in most Dublin City and County cemeteries, details of which are available here. 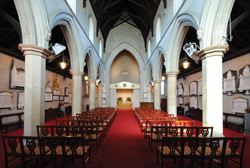 There is documentation to be completed before a cremation can take place – we will arrange all of this for you. 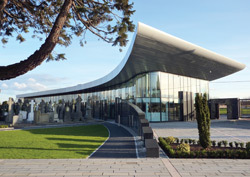 A committal service is conducted when there has been a church service or funeral Mass before arriving at the crematorium. The committal service lasts about 10 to 15 minutes and is conducted by a member of the clergy following a standard religious format, not dis-similar to what takes place at a cemetery burial. There is usually an option to play non-religious music at this type of service. A full service does not have a prior church service or funeral Mass and usually lasts about 40 minutes. Full religious service - instead of using a church the family chooses to have a full religious service in the crematorium chapel. Non-religious service - this is a service, without any religious content, designed by the family with the assistance of a civil celebrant or Humanist celebrant. The service will usually consist of music, eulogies, poems and words or remembrance. Civil Service – many families want a service which combines elements of the two above - some religious content coupled with their own choices of music, speeches, poems and words of remembrance. In all cases we will arrange for a suitable celebrant who can facilitate, guide and assist with the ceremony. These are funerals that have no service at the crematorium. The deceased is taken directly for cremation.